FLUSHING, N.Y. — The USTA announced today that hip-hop icon and Grammy Award-winning artist Jay-Z has designed a t-shirt featuring Arthur Ashe that will be sold at the 2009 US Open. The limited edition Jay-Z t-shirt celebrates the USTA National Junior Tennis and Learning (NJTL) network’s 40th anniversary, and proceeds from the shirt will benefit the NJTL and the Arthur Ashe Endowment for the Defeat of AIDS. 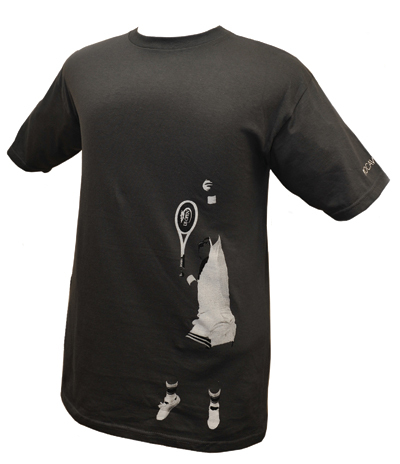 The shirt will be available on-site at the Octagon and the Arthur Ashe Endowment Booth, and online at USOpen.org and ArthurAshe.org. The design is part of Jay-Z’s Rocawear clothing line, which the musician founded in 1999. Arthur Ashe’s legacy will be celebrated on Thursday, September 10, when he is officially inducted into the US Open Court of Champions at the USTA Billie Jean King National Tennis Center. That day also will feature the 40th anniversary celebration of the NJTL network, which Ashe co-founded in 1969 with Charlie Pasarell and Sheridan Snyder. For more information on the Jay-Z tee, go to USOpen.org.